Saturday, February 18 at 4:00 p.m. and Sunday, February 19 at 2:00 p.m., in Middlebury College’s Kenyon Arena. 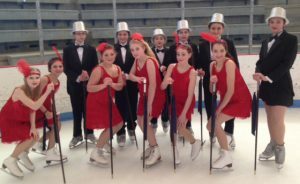 The Ice Show features members of the College figure skating club, local youth skaters of all ages and abilities, and special guest skaters. It’s a fun event filled with music and costumes. Cheer on the beginner skaters and be dazzled by skaters who perform in national competitions. Come and enjoy the show! Tickets are $6.00 (general admission), available at the door or in advance at the College box office (http://www.middlebury.edu/arts/boxoffice). Kenyon Arena is fully accessible.